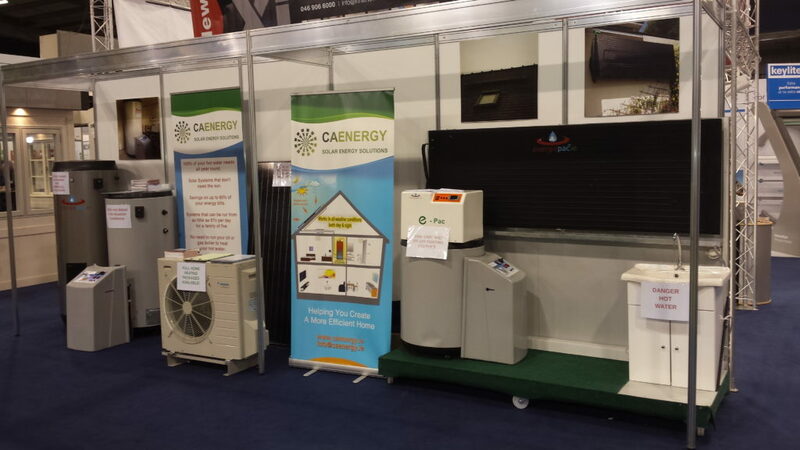 C.A.Energy ltd is an Irish distributor and installer of a wide range of renewable energy products. We are a family based business based in North Cork with many years experience in Renewable Energy. We specialise in Solar Energy and our product range includes Thermodynamic Solar Panels and Heat Pumps. Our systems can provide you with all your hot water and home heating needs at a fraction of your energy costs. They can do all this while reducing your carbon footprint. It is beneficial both to you and the environment. All of our products are installed and tested by us before being sold to customers and we cover warranty for all of our products directly. Can Solar Energy work in Ireland? Many people are under the impression that solar panels in Ireland are a waste of time because we don’t get enough sunshine. While this may be true for traditional solar panels, the next generation of solar panels known as Thermodynamic Solar Panels are a very different story. Traditional solar panels require direct sunlight in order to work effectively. They aren’t very good in a climate without a lot of sun such as Irelands. However, Thermodynamic Solar Panels are much more versatile. They are perfect for the Irish climate. They do not need direct sunlight and instead use the energy from the environment to work. This means that they will work in virtually any weather condition and even work during the night. Energy prices are continuing to rise so you may want to look at alternatives to fossil fuels. Solar energy has become more efficient and affordable for domestic and commercial use. By installing a solar energy system to your premises you will be making an investment in a cleaner future. You will reduce your home fuels bills, have hot water all the time and reduce your carbon footprint.